Green fields and tall proud rugby posts. Behind them, further from the road, stately buildings projecting a comfortable elitism. By appearance, this could be a privileged English private school. What reminds me that it isn’t is the 34 degree temperature that is causing a profuse amount of sweat. This is Malay College in the Malaysian city of Kuala Kangsar, Perak. It’s sometimes dubbed ‘Little Eton’ and it’s one of the first things I see as I make my way into town from the train station. The next thing I come across, right next door, is a beautiful mosque with large golden domes. Not quite what you would expect to find next to a fancy English-style school. But another reminder that this is not Britain. 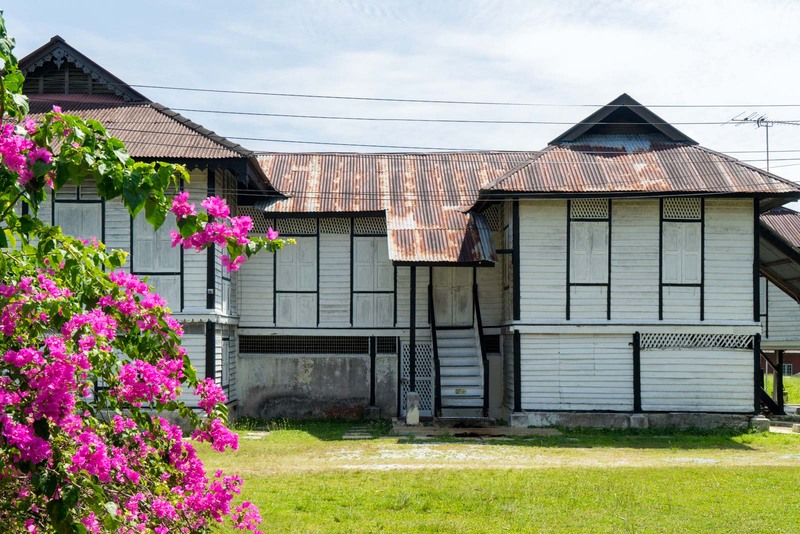 In many ways, this introduction – with its slightly odd contrast – is a perfect symbol of what to expect in Kuala Kangsar. Kuala Kangsar is one of Malaysia’s royal capitals – a city that is the official residence of a state ruler. But there’s much more to it than that. The influence of British colonialism and some of the effects it has had on modern Malaysia are on full display here as much as the rich history of the Malay culture. 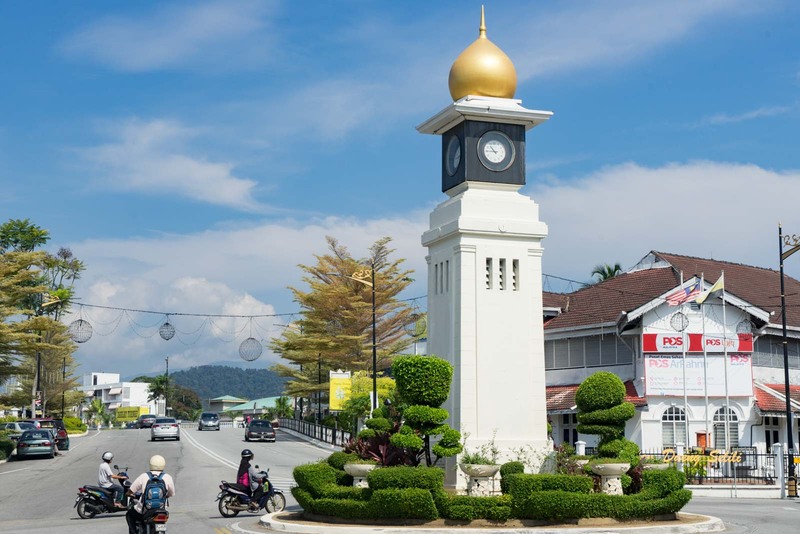 It what makes Kuala Kangsar’s attractions worth the time and why I would recommend the city as a fascinating stop on a journey through the country. 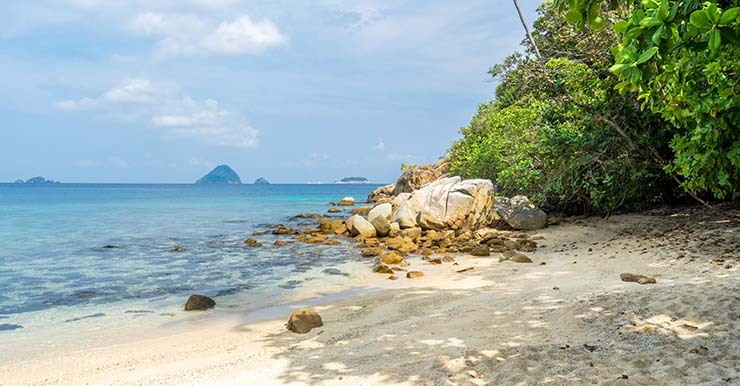 From the royal palace that’s still in use, to the train station where you arrive, you’ll see a blend of the two cultures that has been adapted to fit the tropical heat, here away from the coast. The state of Perak was formed in the 1500s and it turned out to be quite wealthy because of the metals – particularly tin – that was found in the ground. Over the years, this made the state a target for invasion from others who wanted this wealth. In the 19th century, the Bugis, the Acehnese, and the Siamese all tried to invade. But this was also the time when the British were active in this part of Asia and looking for resources and allies. The Sultan of Perak asked the British for protection, which they granted, and in return they appointed a ‘British Resident’ as the administrator of Perak, based out of Kuala Kangsar, where the sultan also lived… with little political power under the new arrangements. The British ramped up the tin mining industry in Perak and also planted the first rubber tree crop in Malaysia. The wealth continued and Kuala Kangsar became a desirable city with grand architecture. It was the kind of place where the richest families across the Malay Peninsula would send their children to school to get a British education. Which brings me back to Malay College, the first Kuala Kangsar attraction I came across. There are quite a lot of things to see in Kuala Kangsar but none of them takes particularly long. There aren’t any large museums or buildings that need tours. The best way to visit Kuala Kangsar is to briefly see a lot of sights, to get an overall picture of the city. There’s actually a walk path that I would recommend, an unofficial Kuala Kangsar Heritage Trail. I have put it together on the map below and it will take you to all the best things to see in Kuala Kangsar. 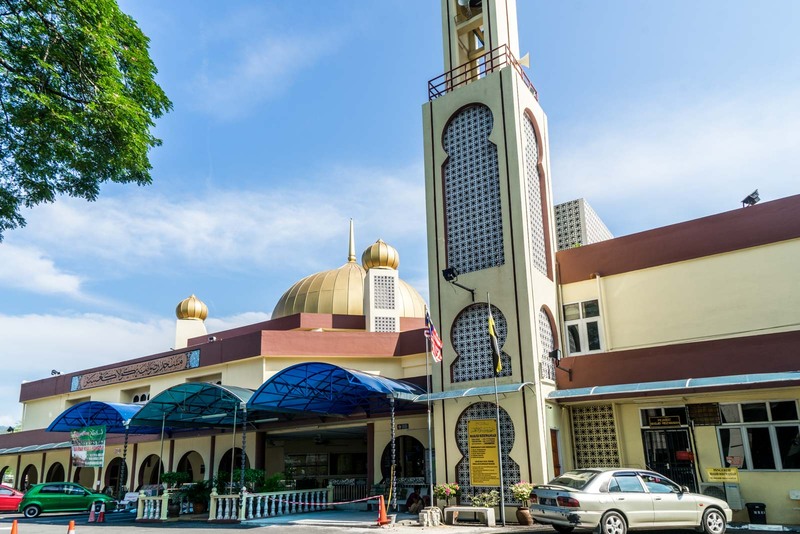 If you start at the train station, you’ll pass Malay College and the Ridzwaniah Mosque. You’ll then find yourself in the centre of the city, with the historic Clock Tower in the middle of the main intersection. 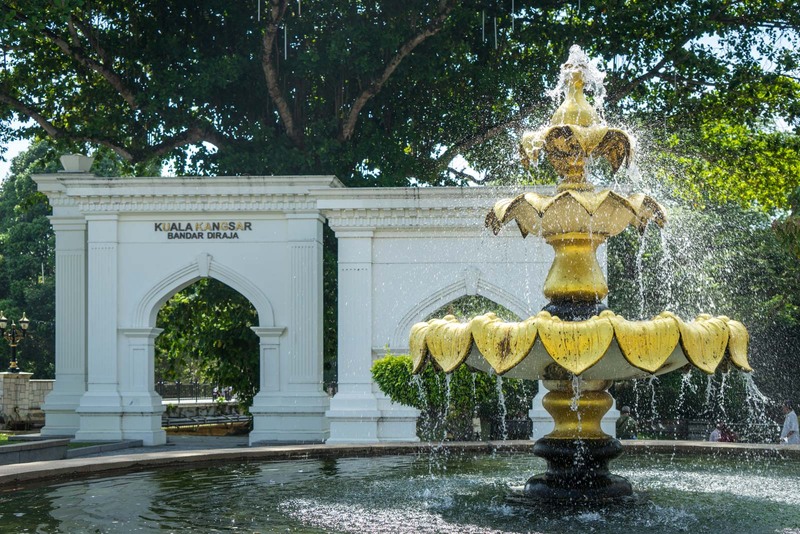 Then head through the gardens and along the river and you’ll find several interesting monuments before you arrive at the Sultan Azlan Shah Gallery, one of the few places where you might like to spend some time looking through the museum. 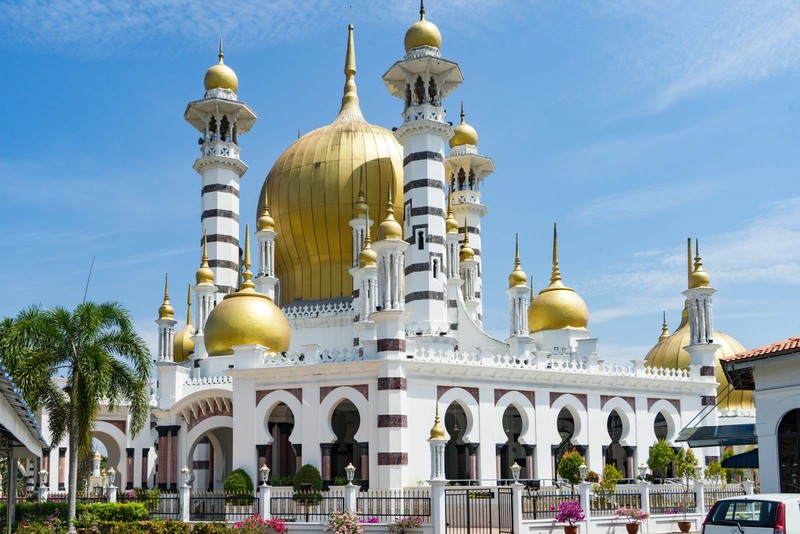 Continue on a bit further and you’ll find the most important Kuala Kangsar attraction, the Ubudiah Royal Mosque. You can then walk on a bit further and do a loop around the new Royal Palace called Istana Iskandariah and pass the old one called Istana Kenangan. 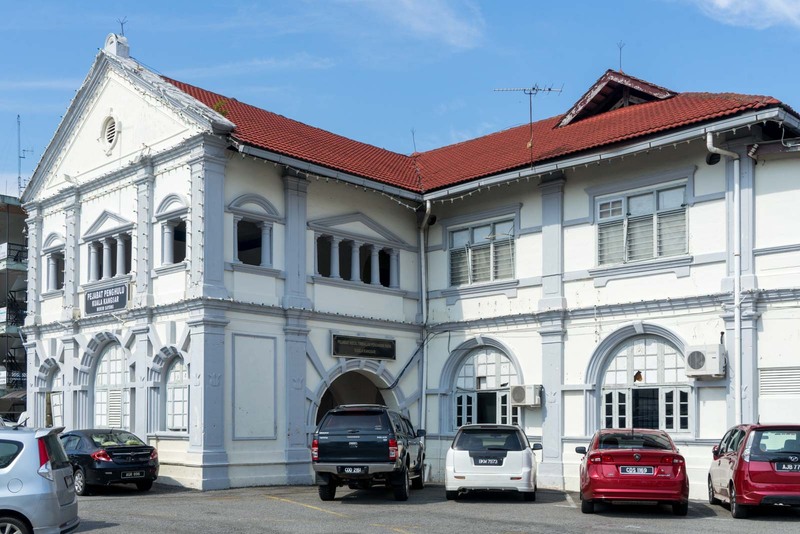 This old palace now houses the Perak Museum and you might like to pop in and have a look at this as well. If you’re thinking of using the heritage trail map, I would recommend loading it up on your smartphone. Just click on the icon in the top right to open the map in your Google Maps app and all of the markers will load up. Then, as you walk around, you can see whether you’re close to something significant and you can go and have a look at it. Kuala Kangsar is not a big city and, although you could spend a night here, it’s possible to have a look around in less than a day. That’s exactly what I did on my way north to Penang. It actually works out very well that the city is on the main train line, meaning it’s quite easy just to do a quick stop. In my case, I got the train that comes up from Kuala Lumpur (although I got on at Ipoh) that arrives at Kuala Kangsar at about 10am. The next train that leaves heading north to Penang (the stop is called Butterworth) leaves Kuala Kangsar at about 2:30pm. So that gave me about four hours to walk around and see everything. It was a little rushed, though, so the other option is to arrive from Kuala Lumpur or Ipoh at the train at about 2:30pm and then get the train to Penang the next morning at about 10am. You’ll have a bit more time to explore and be able to relax overnight. Regardless of how you do it, I would recommend making a stop in Kuala Kangsar if you have the time. 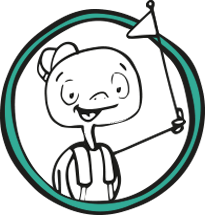 It’s not crowded with tourists, there’s lots of really interesting things to see, and it’s very easy to navigate. It’s a little slice of Malaysia’s royal history mixed with the British colonial history. It, in many ways, represents the real story of the peninsula through the 19th and 20th centuries until independence. Kuala Kangsar is my favorite royal town in Malaysia because it is generous enough to share a glimpse of the history. Really many things to do there, Lovely pictures. I’m glad you like Kuala Kangsar too! Yeah, it’s a beautiful royal city with a lot of history! It’s great that you stopped by at small towns like Kuala Kangsar which offers a glimpse into Malaysia’s royal towns. Also, famed writer Anthony Burgess based his book Time for A Tiger on Kuala Kangsar when we was teaching there. It’s funny you should mention that book – it came up a few times while I was travelling in Malaysia. I haven’t got around to reading it yet but I would actually be really interested to give it (and the other two in the trilogy) a go. Have you read them, by any chance? 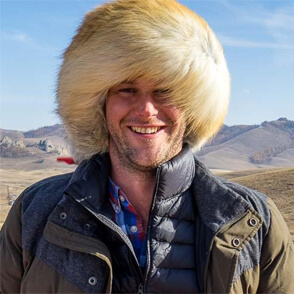 Nice post, Thanks for sharing with us the informative post.